are these still available? i just joined the site because of this thread so i apologize for possibly jumping into an old thread. Yep still a few ducted versions available! I need to sell all the ducted spoilers first before I go and make any more spoilers again ducted or non-ducted. The demand is just not high enough for me to keep making these things as it is very expensive to produce them. Also I am very busy with school still and I don't have as much time as I would want for all my projects. I'd be interested in a Challenger version? More Challengers around than Cuda's? Last edited by brads70; 04/17/12 08:50 PM. 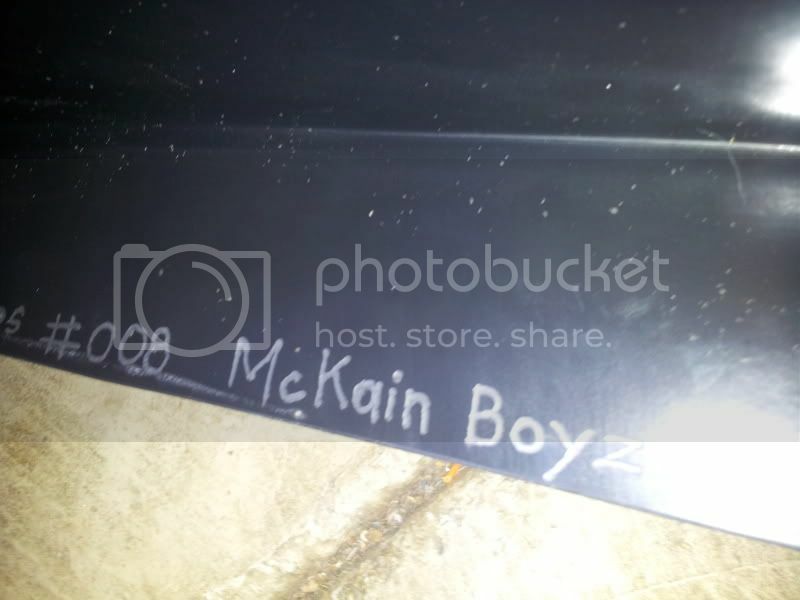 Here you go McKain Boyz! 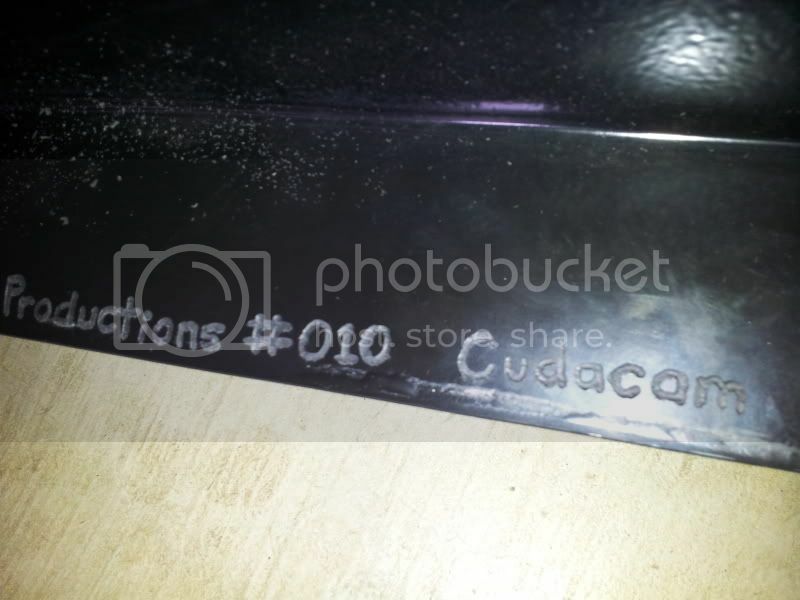 I talked to the plastic company I am working with for the`Cuda spoilers. I only have very few `Cuda spoilers left and wanted to get another batch made. The company quoted me an increase of 25% from when I originally had my first batch made back in 2009 as the price of ABS plastic and manufacturing costs have gone up. What this means is that I am going to have to raise the price of my `Cuda spoilers 25%, from $200 to $250. Believe me, I am unhappy with this news as well but there is nothing I can do to counteract the inflation rate. I just wanted to let you guys know upfront. 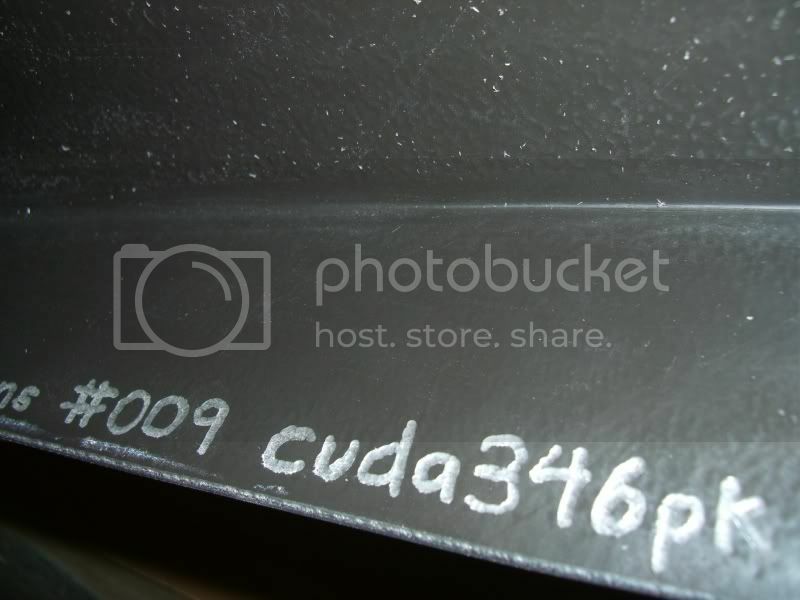 Good news is that I will still sell the `Cuda spoilers I have left at the 2009 price so get them while you can! Hey cuda346pk! your spoiler is on its way! Hey Cudacam! your spoiler is on its way! I just sold my last spoiler in stock. After almost 3 years since I started this project I can't believe I was able to sell all 10 spoilers. If anyone wants more spoilers just let me know! I will not have any produced just yet as there is an underwhelming demand for them but, I can easily have another batch made. The next batch of spoilers will NOT have ducts as there were a bunch of people asking for spoilers like the one on my car. The price will go up to $250 per spoiler as the cost of ABS plastic has gone up since 2009. I just want to thank everyone who purchased a spoiler from me and I hope you are liking my product. I am interested in a spoiler without the ducts. Let me know when you get enough interest to have another batch made and I will buy one. Have you ever checked to see how the Cuda spoiler would fit on an F-Body, Volare, Aspen etc? An F-Body doesn't have a front valance like a Cuda and not sure about the width differences between the two cars but if it was close it may work. I can get another batch made pretty quickly. As soon as ONE person sends me a payment of $250 plus shipping, I will have another batch of TEN spoilers without ducts made up since I already have a mold that is ready to go. The only catch is that instead of me shipping the spoiler out immediately, there will be a short delay because the plastic company has to make the batch, about a couple of weeks depending on their schedule. Thank You HUSTLESTUFF for purchasing a spoiler! This will allow me to make a second batch of spoilers. Please be patient as it takes some time for the spoilers to be made as the plastic company can take its sweet time but I will update the thread as soon as I have the second batch in hand. Thank you dodgeman316 for your order! I will update the thread as soon as possible! Thanks for the order draginmopars! I called the plastic company and they said it might get pushed back till next week since they just got the ABS material and the order in front of us is giving them some trouble. I will call again this Friday and keep you guys posted! Called the plastic company and our spoilers got pushed back until next week. Sorry about the delays. If you look at the first page of the thread, it took about a month to get the first batch. The plastic company is about done finishing the mold for the ductless versions. Basically they are making inserts for the ducts and making it a flat version. They said end of the week again. Let's hope for the best!